An empty stomach is something like a mixed bag of opportunities. Very simply put, starting from the wee hours of the morning, your stomach is entirely at your disposal to stuff it up with foods that can pile up on the wrong side of the weighing scale, or contribute to an overall better health. The choice is ‘Yours’! However, in many cases it has been seen that wrong choices are made in this respect all thanks to severe lack of enlightenment about the matter. Basically, the first thing that gets into your gastrointestinal system has a role to play in making or breaking your health. 1 liter of Warm Water – Friendly old H2O has multiple advantages which gets all the more enhanced when taken as the first thing in the morning and that too in lukewarm state. To be very honest, most beginners may not like the effect of bland warm water on their taste buds but the results will be more than just awesome. To begin with, this is one of the best natural ways to improve bowel movement in the colon. So, you early morning routines will be peaceful and timely. Secondly, this is also a tried and tested means of flushing out toxins from your system thus returning the glow on your skin while keeping the process of aging at bay. Garlic – A few raw garlic cloves as the first thing in the morning may sound a little too stinky, but it is worth a try. Garlic has been named as one among the few miracle foods that have been blessed with multifaceted advantages. Basically, it is a blessing for those with heart and blood related issues. The active ingredients in garlic works to reduce and maintain the triglyceride levels in the blood while lowering LDL (bad cholesterol). It is also instrumental in lowering blood pressure and preventing cancer. Lime Juice with Warm Water and Honey – This is one of the early morning treats that you certainly don’t want to miss. Named as one of the most functional home solutions to flush out toxins from the system, this power packed dose aids the process of weight loss as well. 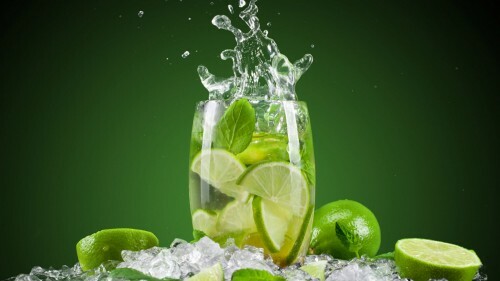 Yes, it has been seen that people who drink fresh lime water with honey tend to lose their excess poundage faster than the rest. With a burst of unadulterated vitamin C, this solution is the simplest way to perfect health. Papaya – While many geniuses may warn about eating fruits in an empty stomach for all the havoc that it may wreak, Papaya is one of those fruits that can actually grant you multiple benefits when eaten as the first thing in the morning. From lowering blood pressure to improving bowel movements, from great skin and hair to anti aging properties, there is nothing that you cannot derive from this miracle fruit when eaten in an empty stomach!